Cult of the Dead Birds: Is the Tea Party an Art Project? I’ve always wondered if the Tea Party and some of the members of the far right were actually creating a piece of performance art. Are they like Spinal Tap where the verisimilitude of their performance so blurs the lines of reality that people begin to believe that it isn’t parody, but reality. So now we have Victor/Victoria as political theatre? An actual conservative acting like a liberal so that he can get a conservative view out to young people without censorship. And the frightening thing is, a lot of the people I’ve talked to believe this statement. On a side note, when will the right realize that Fox news controls all the political discussion in this country? Even the “Liberal Media” talks about what Fox wants them to discuss, because they feel that they have to cover the lunacy. When you control the dialog, you cannot also claim to be the oppressed minority. Also, when you claim, as they do, that most of the country agrees with you, you cannot claim to be a subjugated people. You cannot have it both ways. But back to my main point, is the Tea Party movement art? By this definition, I would state that the Tea Party is art. They are creating something new, a different version of the constitution than the founding fathers intended or that I read in school, and they have created the world where that new version of the constitution can exist, a far right America where sick people dying is cheered and a gay soldier is booed. The Tea Party is creating a new version of this country, where their extreme right ideals can live. They are creating a place where the center has moved so far to the right that what used to be the center is now far left, and what was authentically liberal thought is now communistic and evil. In Heidegger’s definition of art, to be art it has to be original, which the Tea Party certainly is, and it has to create a place for that new work to exist, which is also happening. By this definition, the Tea Party is art. 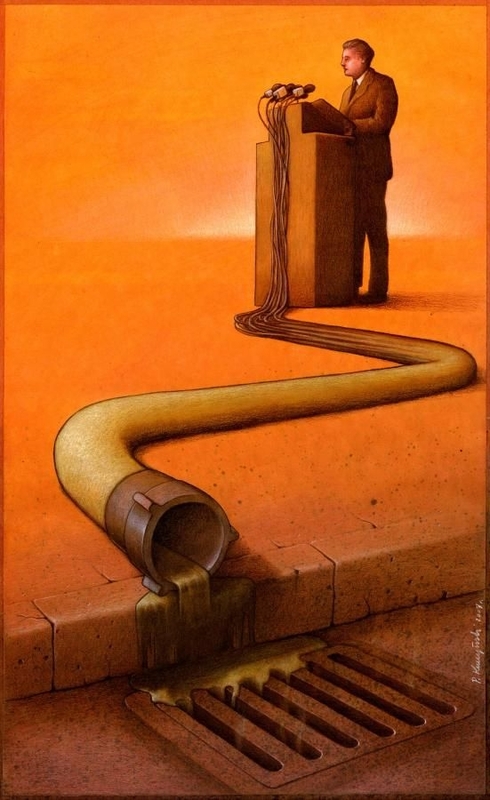 The only question left is: is the artist Pawel Kuczynski or Gustave Doré? Maybe it’s time to buy a new painting. For more paintings by Pawel Kuczynski go to this website. The work is incredible.